Why would I need self storage in Tonawanda, NY? There are a variety of reasons why you might need self-storage in Tonawanda, NY. How much is a storage unit in Tonawanda, NY? The cheapest storage unit in Tonawanda, NY is $45.00 per month. What size storage units do you have available in Tonawanda, NY? In Tonawanda, NY we have sizes that range from 3'x4' to 12'x25' to suit your storage needs. How much is it for a 3'x4' storage unit in Tonawanda, NY? The cheapest 3'x4' storage unit in Tonawanda, NY is $45.00 per month. Tonawanda is a small town in western New York, just a 20-minute drive from amazing Niagara Falls. It's considered part of Greater Buffalo-Niagara Falls and, like its neighboring communities, is a very affordable place to live. The area where Tonawanda now sits was once home to many Native Americans, and it remained relatively undisturbed by immigrants until the early 1800s. Henry Anguish constructed a small log cabin in the area in 1808, adding a tavern to the hamlet just a few years later. Other settlers slowly joined Anguish. When the Erie Canal opened in 1825, growth and expansion multiplied considerably. Tonawanda was incorporated as a town in 1836 and was a flourishing community benefiting from both the canal and the railroads built soon after. Towards the end of the 19th century, the timber industry became an important part of the town's economy, followed by small-time commercial fishing. In 1904, Tonawanda was officially incorporated as a city. Tonawanda is midway between Niagara Falls and Buffalo, which makes it a promising spot for commuters looking for work. In addition, the city's many picturesque and historic homes that attract new residents, as does the surrounding scenic landscape. Tonawanda has some great neighboring cities, such as Buffalo, that offer plenty of entertainment, dining and shopping. If you'd prefer to stay close to home, you'll find many restaurants, nightlife, parks and community events to enjoy within Tonawanda city limits. Canal Fest is one of the city's largest and most popular events, celebrated in conjunction with the neighboring town of North Tonawanda. The week-long festival celebrates the city's fruitful location on the Erie Canal and attracts more than 150,000 people every year. Tonawanda is part of the Tonawanda City School District. There are also seven private schools serving over 1,600 students in Tonawanda. Utilities: National Grid and the Erie County Water Authority are Tonawanda's main utility providers. Garbage and Recycling: Your trash will be collected weekly, while recyclables are picked up every other week. Transportation: Tonawanda and its neighboring communities are served by the NFTA-Metro. 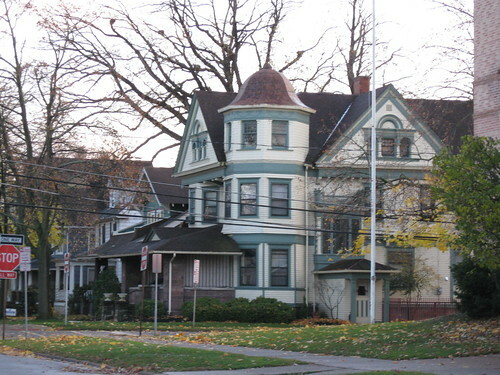 Tonawanda, like most of Greater Buffalo, is a very affordable place to buy or rent a home. You'll find home prices that are just over half the national average, and rent that's also very budget-friendly. Many single-family homes feature both front yards and backyards, ideal for families looking for an outdoor space for their children to enjoy. Our lowest priced units in Tonawanda, NY average $45.00 per month. 95 people have reserved units in Tonawanda, NY in the past 30 days. There is 1 location within Tonawanda, NY's city limits. There is 1 location in Tonawanda, NY that offers AC and Heating features.